The archetypal male counterpart to the Earth Mother; the son, lover, and guardian of the Great Goddess. He is portrayed as a composite of man and leaf: a great leaf like an acanthus with masculine eyes, nose and mouth. 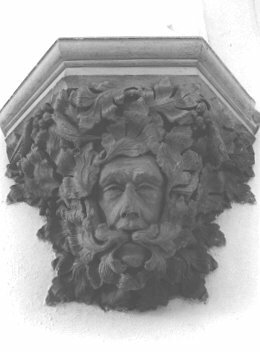 He is also portrayed as a male face with leaves such as oak or grapevines coming out of his mouth and from between his brows, or his “third eye”. 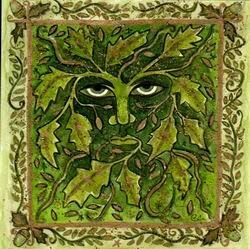 The first Green Men were found in Roman sculpture and painting in the first century, The celts saw him as Esus, the god of Spring, and Cernunnos, the god of the forest, the underworld and wealth. Like Persephone –the Greek goddess of spring who descends annually to the underworld, creating winter- the Green Man, connected to ancient forests, makes his descent to the underworld with the roots of ancient trees. There the true wealth of the soul life can be nurtured. 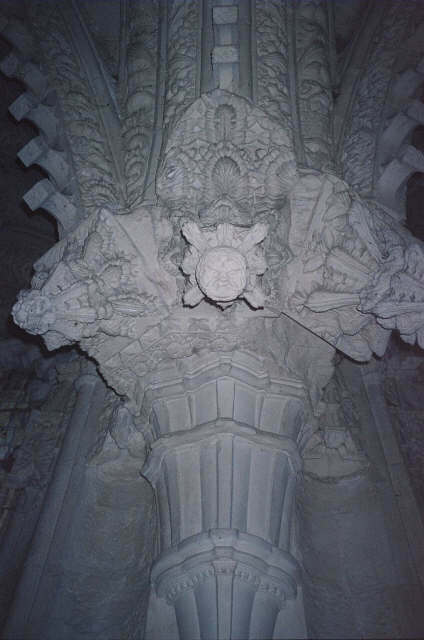 The image of the Green Man was carved high into the columns of eleventh-and twelfth-century European churches, often placed above statues of mary, the Grat Mother, where he seemed to protect her. The columns are like great trees or totems. 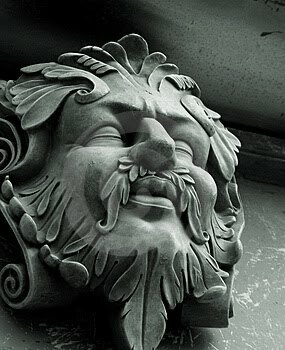 Today the Green Man is often portrayed as Bacchus with grapes, appearing on fountains and planters or as decorative masks and salvaged architectural elements. Thoughts on Architecture and Urbanism Architecture, urbanism, landscape, arts and architecture, urban catastrophes and more.